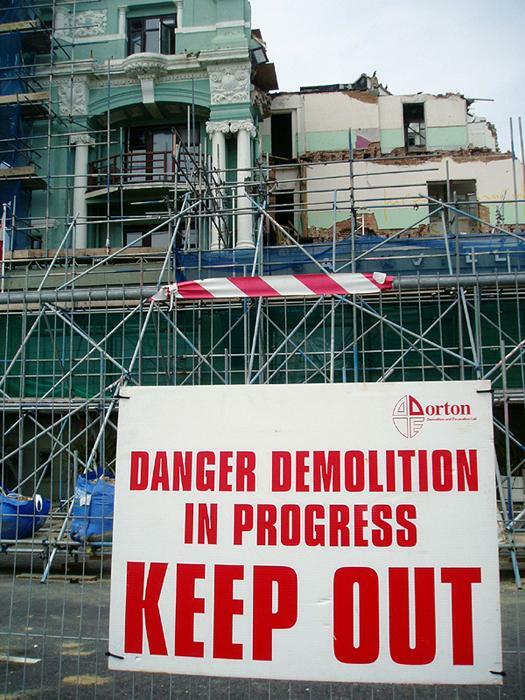 Where one of Hove’s finest hotels once stood, there is now just rubble and keep out signs. 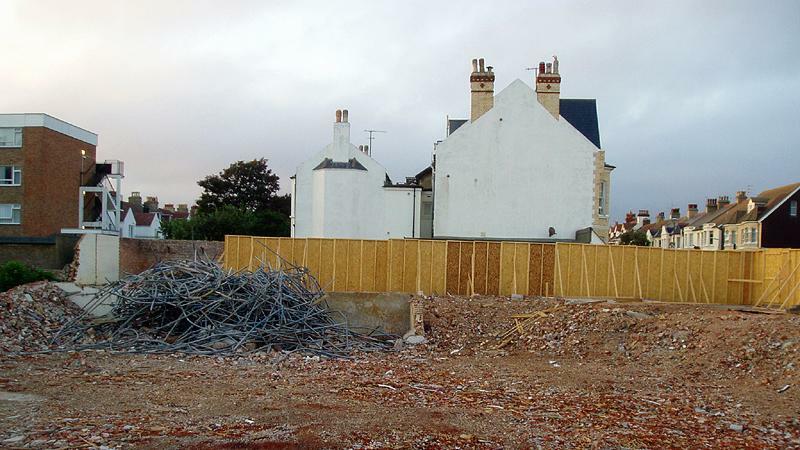 The recent collapse of the Sackville Hotel at 189 Kingsway on the Hove seafront was certainly a shock to all. The owners, Sackville Hotel Ltd, were hoping to pump £5 million into restoring the once decadent hotel. It was to be turned into Hove’s only five-star hotel with plans in place for a complete refurbishment and extension with a new swimming pool, gym and sauna. The roof at the front of the building collapsed in April, however, and took out several of the floors below in the process. The building’s towers survived initially but had to be pulled down several weeks later after the rest of the building was deemed unsafe following high winds. Brighton’s only five-star hotel, the Grand, was purpose-built as a hotel from 1862-4 as the tallest building in Brighton. The Sackville, however, was built in 1904 as four terraced mansions known as The Lawns which, due to their extortionately high prices of £7-8,000, failed to sell. There was already a Sackville Hotel at 156 Old Shoreham Road dating from the 1890s so this Sackville opened as the Sackville Gardens Private Hotel and later became the Sackville Court Hotel. Each mansion originally came fully equipped with an electric lift, electric Turkish bath, a library and eight bedrooms. As a hotel, it had around fifty bedrooms. The principle external features were its domed corners and exquisite plaster details.